I have a thing for anything salty-sweet. Pretzels dipped in chocolate? Yes please! Brown sugar bacon? Of course! 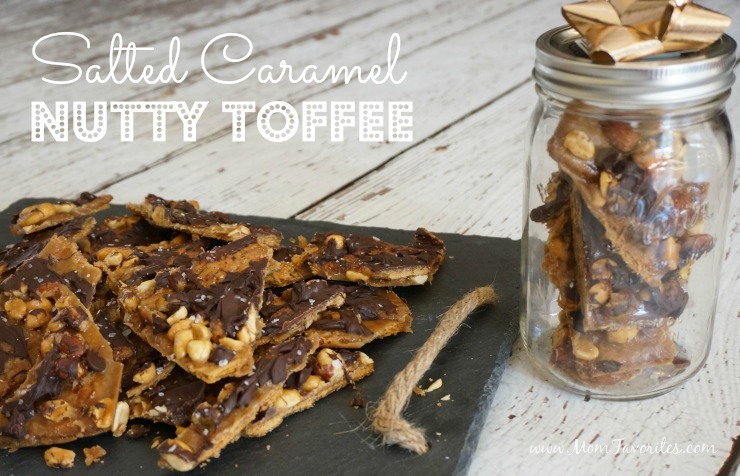 And, anything with salted caramel. You too? Then let’s get down to business. If I’m going to add a recipe to my baking repertoire, it’s gotta be simple. 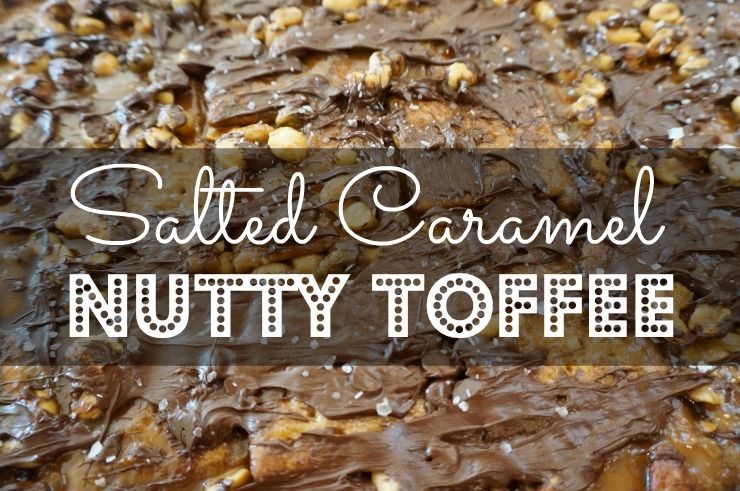 And my Salted Caramel Nutty Toffee bars are just that. 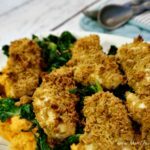 Easy peasy, crunchy and gooey, salty and sweet. The base? Graham Crackers. The glue? Caramel. The topping? 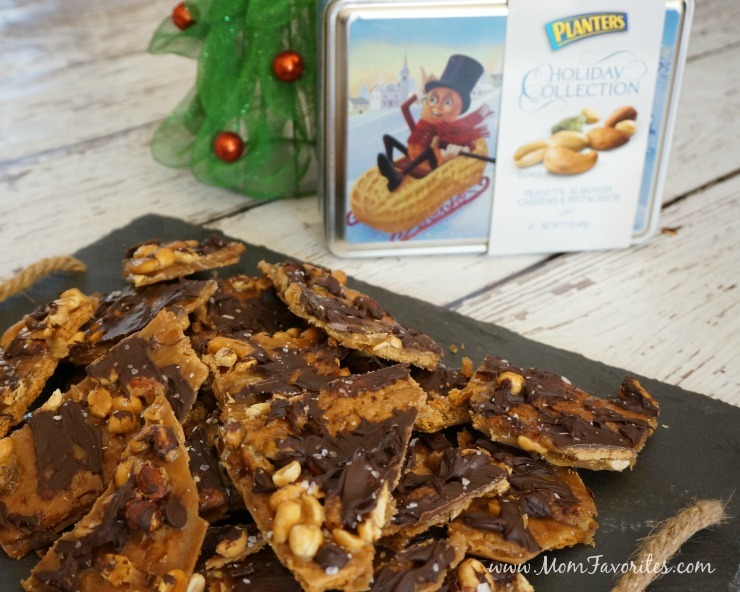 A mix of Planter’s nuts. Topped off with chocolate morsels and sea salt. Truly decadent and definitely giftable. That is, if you can gift them before you eat them. It’s harder than you’d think. Fortunately, I’ve got Mr. Peanut on my side. If all else fails (i.e. 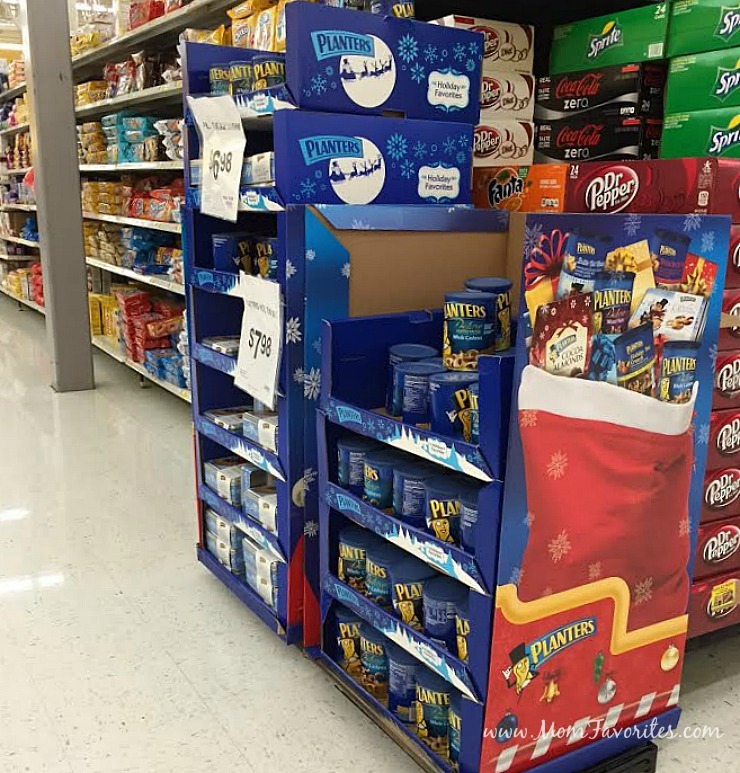 I eat all of the Salted Caramel Nutty Toffee bars on the way to the holiday party), I can head to my local Walmart and pick up some extra nutty goodness for the hostess. 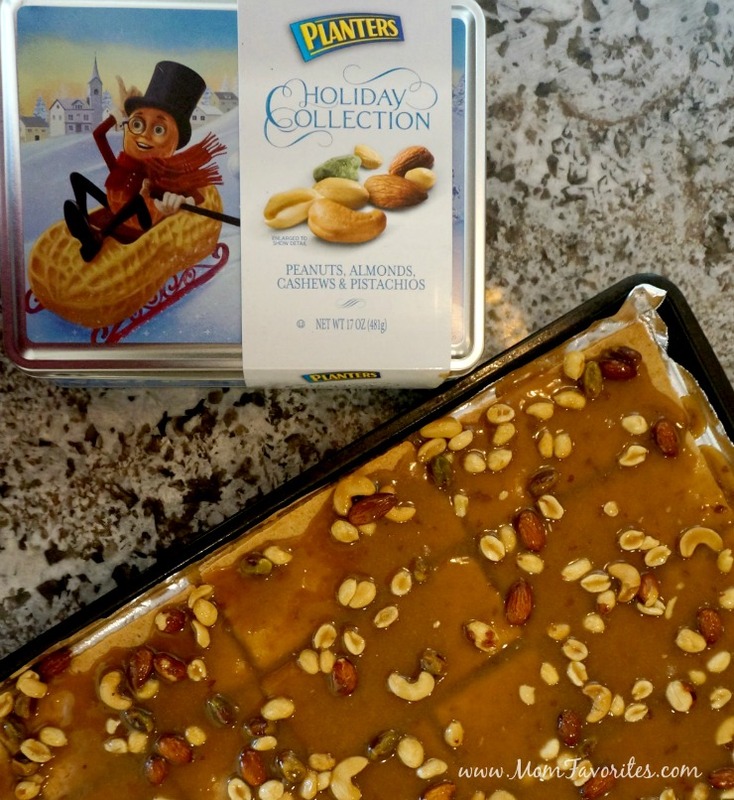 It’s just a matter of hunting down the Planter’s sleigh, and grabbing a Holiday Collection Tin (or two – these nuts are what I used in my Toffee Bars), some Brittle Nut Medley (the perfect party take-along that make a great ready-to-eat hostess gift), or a little Holiday Nut Crunch… so festive! 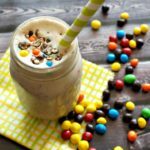 The perfect salty meets sweet dessert! 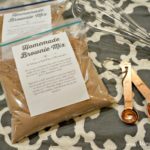 Great for holiday parties and DIY gifts! Line a rimmed baking sheet with aluminum foil. Arrange graham crackers in a single layer to fill up the sheet. 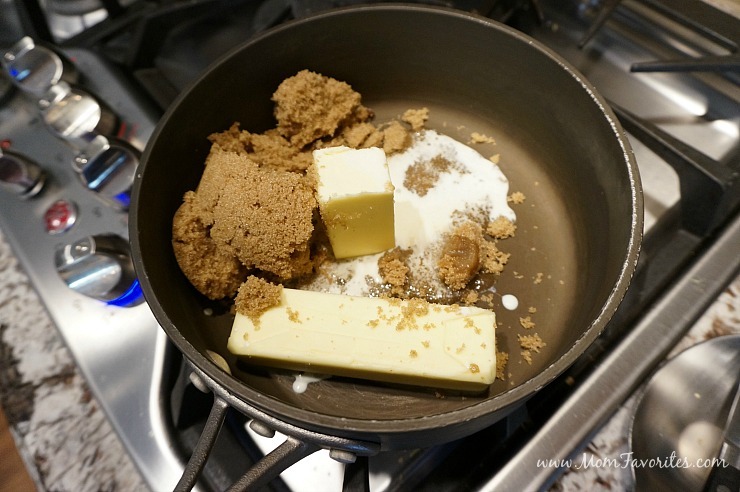 Combine sugar, butter, and cream in a heavy saucepan. Bring the mixture to a boil over medium heat, stirring often. 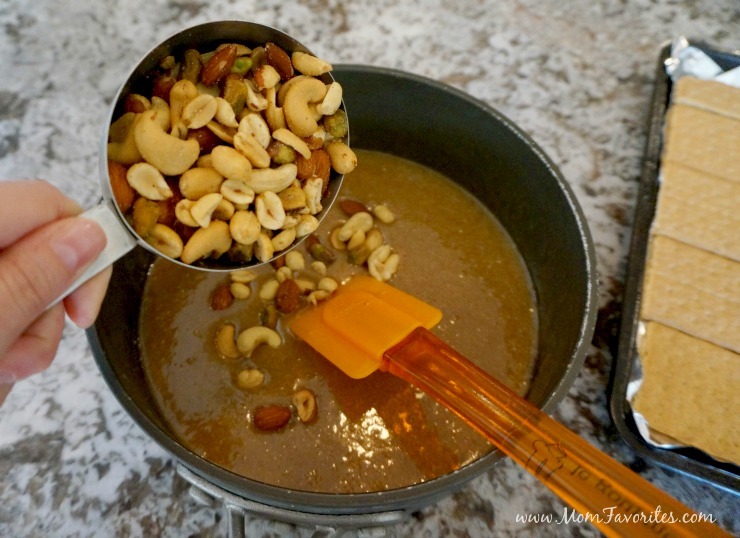 Remove from heat and stir in the vanilla and nuts. Pour the mixture over the graham crackers, spreading to coat. Bake at 350 degrees for 15 minutes, or until browned and bubbly. 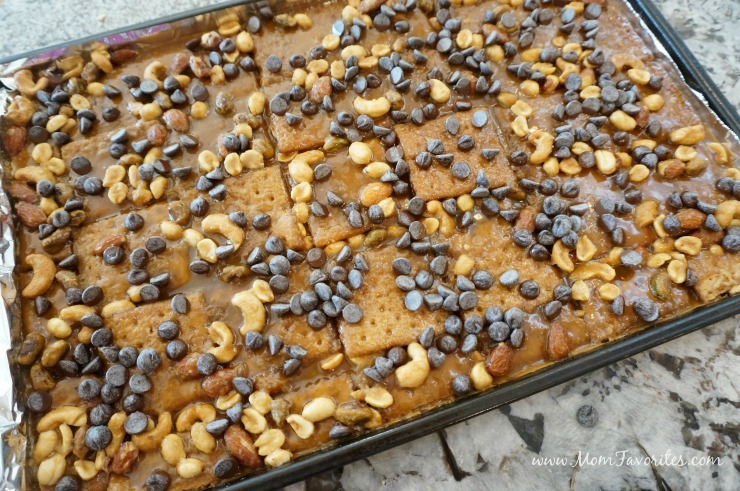 Immediately after removing from the oven, sprinkle the top with 1 cup of chocoate chips. Allow to rest for 3-5 minutes, then with a spatula, smooth out the melted chocolate. Top with sea salt, then chill at least one hour before cutting into bars. Enjoy! 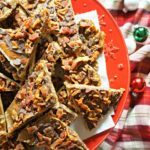 Salted Caramel Bacon Toffee + Win Bacon for a Year!